Exomotive - US Manufacturer of Exocars & Kit Cars | An Exocet on Top Gear? 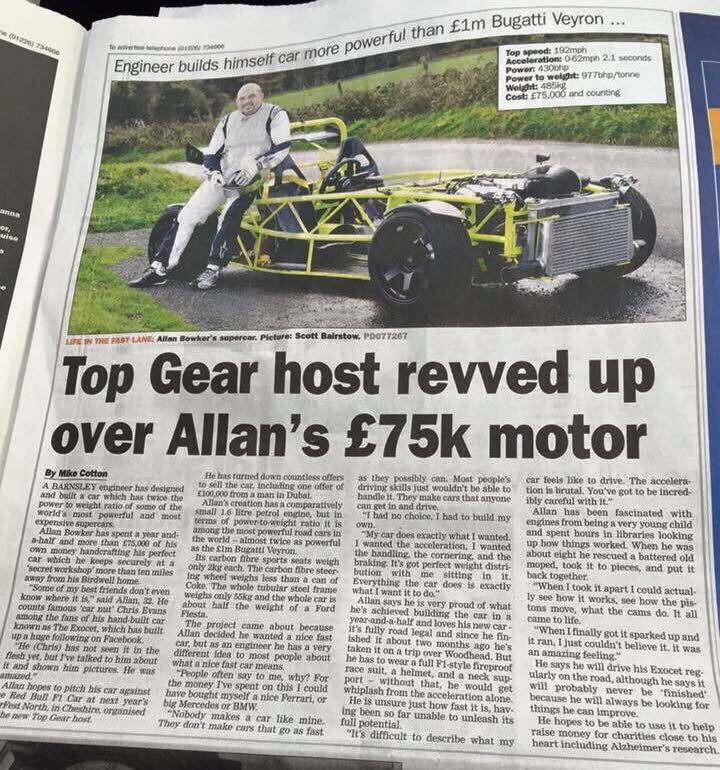 An Exocet on Top Gear? It could very well happen soon enough! 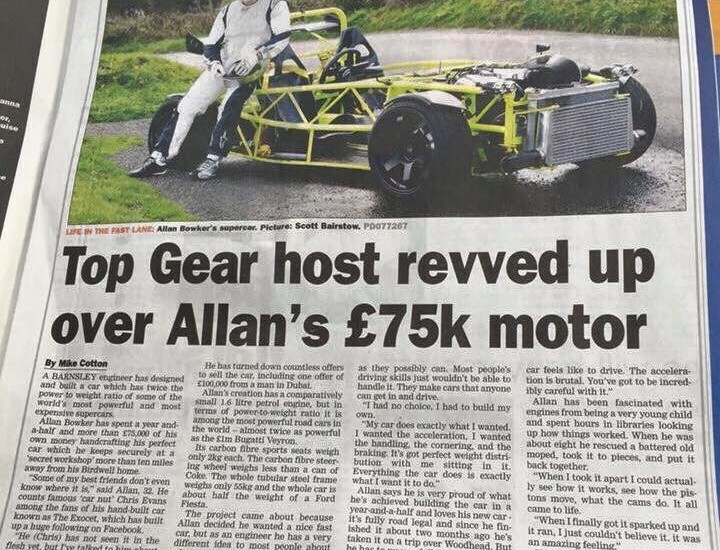 Builder Allen from the UK has Piqued the interest of Top Gear, and we can guess why! His custom built 1.6l engine boasts 430 BHP, with a total weight of 1070lbs. That is some serious power to weight!